​ALL Pygora fleeces should be dehaired, either with hand combs, or at a mill. Processing it by hand is a very tedious task, making it more time efficient to send the fleeces to the mill. Most often the dehaired fiber comes back from the mill in cloud form, but it can be made into beautiful roving also. Pygora can be blended with a bit of other fiber such as silk or a fine wool if desired. You can spin directly from the cloud or roving. If not spinning 100% Pygora, I like to blend mine on a drum carder with other fine luxury fibers, such as Angora rabbit or silk, and spin it from the batt. As Pygora fiber is a hair, it has no memory. Memory is easily achieved by adding 10-20% fine wool, such as Merino. Pygora fiber is very warm; I prefer to keep my yarn size lace to sports weight, and like working with a plied yarn best. Pygora fiber doesn’t have elasticity or memory. If, memory is desired in a yarn, adding 20% of a fine Merino, Cormo or Polwarth would give the finished yarn the memory desired. 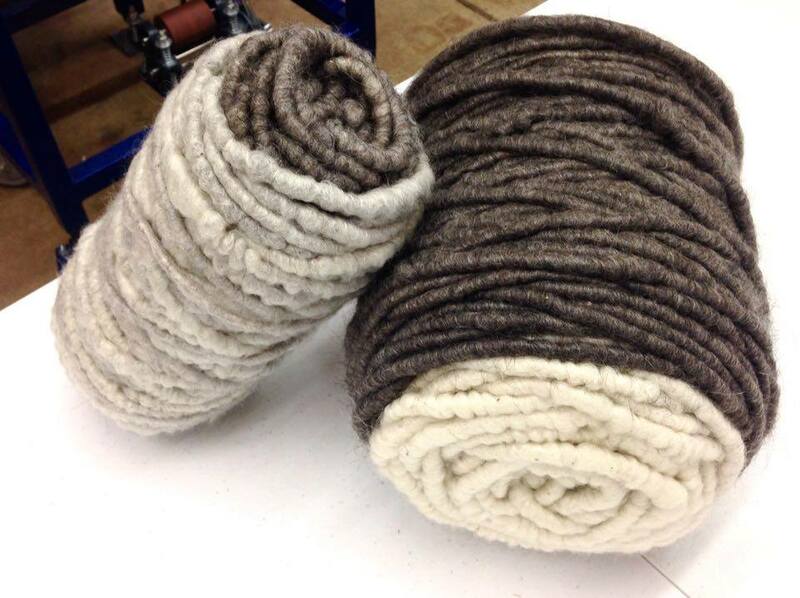 ​A raw Pygora fleece includes both desirable fiber and guard hairs. The guard hairs must be removed, this process is called dehairing. 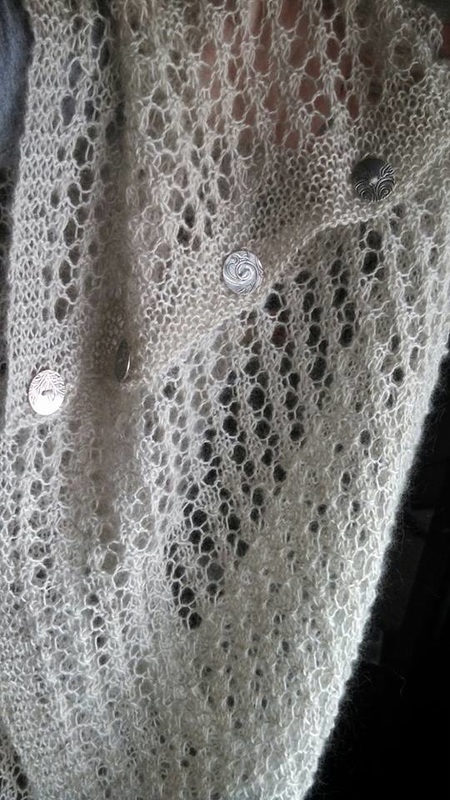 The desirable Pygora fiber is a very warm and light weight, next to the skin soft and lends itself to finer garments, specifically lacy, open patterns. Pygora would not be the best choice for sock yarns or for garments that would see a lot of wear, unless it was blended with another fiber. The guard hairs that are separated out are often called “waste” fiber. I have been on a personal mission to see that those “waste” fibers are not wasted. They make a wonderful plush rug yarn! Although, I am not a great knitter, I really love the way Pygora knits up. It has a beautiful drape, halo, and lends itself very nicely to an open stitch. 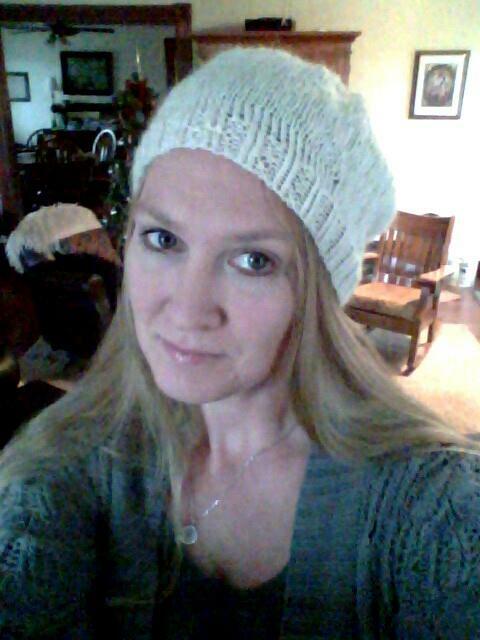 I also love it knitted into a simple hat. It is light weight, very warm and doesn’t smash down your hair! 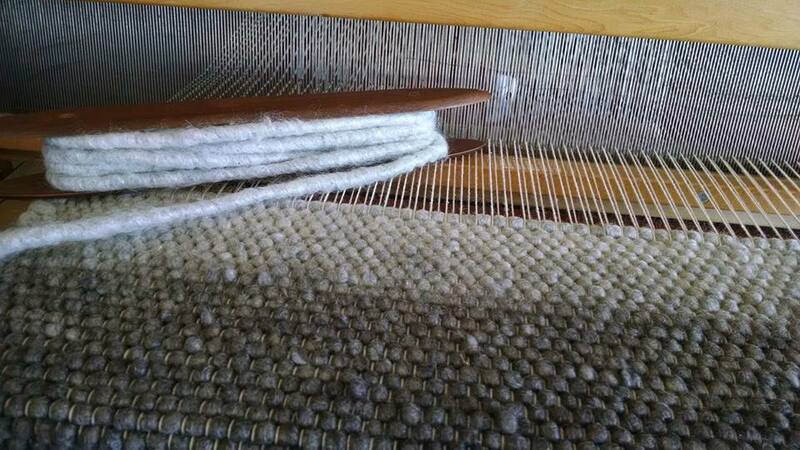 Above is the "waste" rug yarn and it being woven on the loom for a rug. Photo of me wearing my first knitting project! 80Pygora/20Merino knit hat. ​Pygora comes in a range of natural colors including white, black, browns, caramels and greys. See the herd sample project below. To better get to know my herd and their fiber I took an ounce of fiber from each, spun it, and crocheted a block with it. 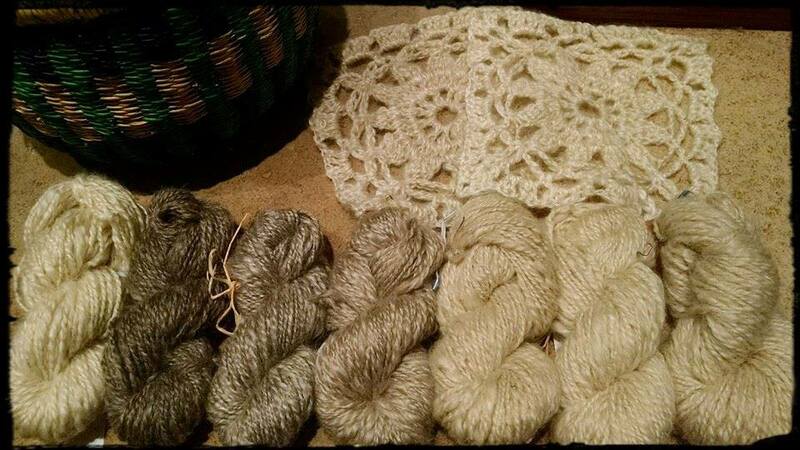 My hope is to put together a great little fiber sampler of my herd. 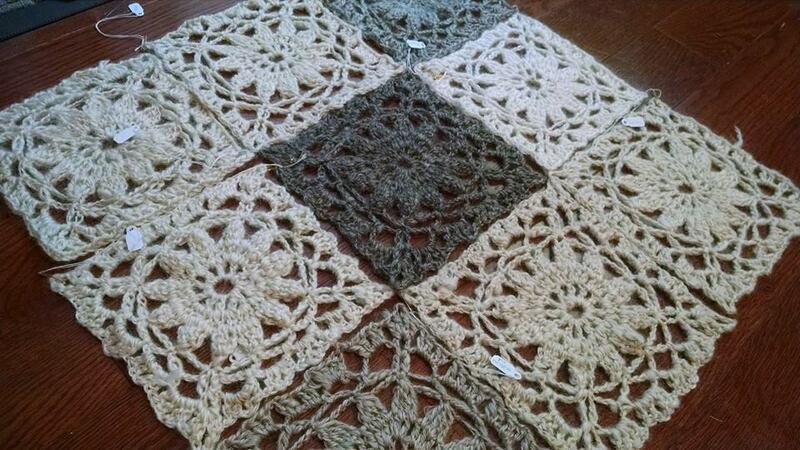 Nine blocks done! Gypsy, Mae, Lilly, Kitty, Indigo, Rooster, Penny, Willow, Daisy. I will continue to add blocks as my herd grows. It has been an amazing project and I have learned so much about each goat's fleece.